WMHT Passport is our new member benefit that provides WMHT members who support with a donation of $60 or more annually with extended access to an on-demand library of quality local and national public television programming. With access to tens of thousands of hours of your favorite programs, WMHT Passport allows you to watch even more episodes of your favorites, including full seasons of many current and past series. 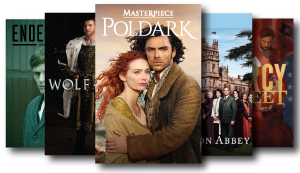 Highlights include episodes of award-winning MASTERPIECE favorites like Downton Abbey and Wolf Hall, along with Grantchester, Home Fires and Poldark. You can watch hundreds of hours of Nature, NOVA, Antiques Roadshow, American Experience (including JFK and Walt Disney), Finding your Roots, The Great British Baking Show, Ken Burns documentaries like Jazz and Prohibition, and so much more. Click here to get your WMHT Passport activation link if you've given WMHT your email address. Call Member Services to activate WMHT Passport at 518-880-3400. Click here and sign in with your PBS Account to start watching. You can watch WMHT Passport and our on-demand videos on your computer, smartphone, or tablet through the WMHT website, at PBS.org and within the PBS Video apps for iOS and Android smartphones and tablets. You can also access WMHT Passport on Apple TV and ROKU with additional platforms coming soon.